Graham and Adam founded Jumpin’ Hot Club in 1985 out of necessity! They simply could not find the live music they wanted to see and hear in the North East of England, faced with having to travel the length and breadth of the United Kingdom to experience live Roots music, the two responded with Jumpin’ Hot Club. 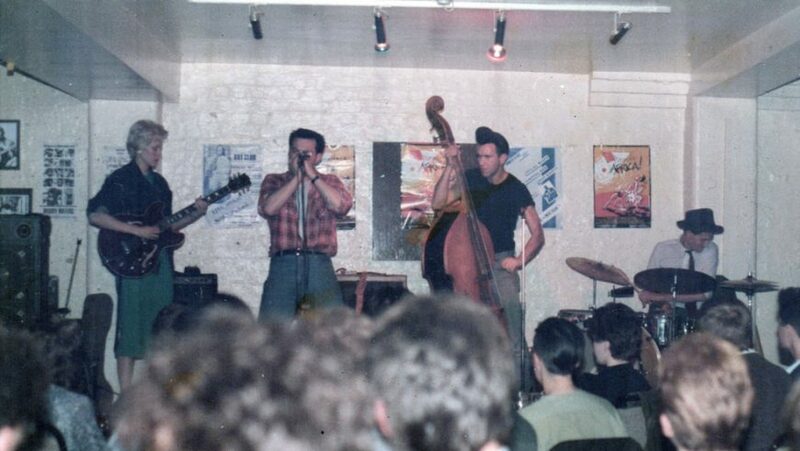 Live roots music in venues across the North East of England; jazz, country, western, blues, ska, reggae, rockabilly and world music were all at the heart of Jumpin’ Hot Club. Since 1985, JHC have continued to fill the gap in the region for not only bringing Roots music to stages and venues across Tyneside and Northumberland, but also in establishing an international reputation as a significant, credible and forward-thinking organisation, as a supporter of artists and as a champion of Roots music, culture and heritage. Graham and Adam continue to be driven by their enthusiasm and excitement for live events, cross-arts initiatives and community outreach that foreground Roots music, its many influences, international musicians and artists and its place within the region. As Jumpin’ Hot Club grew, and began to be more involved in the development of artists and outreach in local communities, Northern Roots was formed as a ‘sister’ company to Jumpin’ Hot Club. Northern Roots is a charitable organisation which shares the same aims as JHC, to promote, support and nurture roots music and culture. Northern Roots is now responsible for community work with children, young people and adults of diverse heritage and background. JHC continues to be at the forefront of Roots music performances, entertainment and promotion in the region.